This is a lovely Mittenwald “Verleger” violin in outstanding condition, with a bright zingy sound that’s full of character. 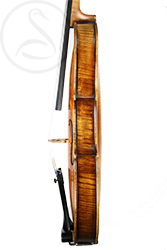 Mittenwald has been a centre of fine violin-making for around 300 years, and for such a small village it has produced an incredible number of instruments. 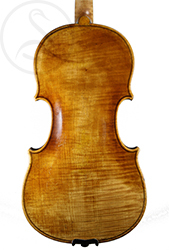 The Mittenwald tradition uses the inside mold construction method, and has nothing to do with the shoddy cottage industry violins produced in Saxony, and which most people think of as “german”. 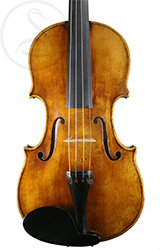 This is a rather splendid little violin with a powerfully flamed one-piece back – typical Mittenwald model with a broad waist, flat arching and quite shallow ribs. The condition is excellent – no cracks or damages on the body, just one small and very inconspicuous insert to the lower left side of the scroll. 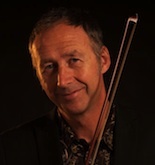 This is a great violin to play – brilliant and nervy, full of Mozartian vigour. There’s a decent core to the sound, but its overall character is more Beaujolais Nouveau than Chateau Margaux. 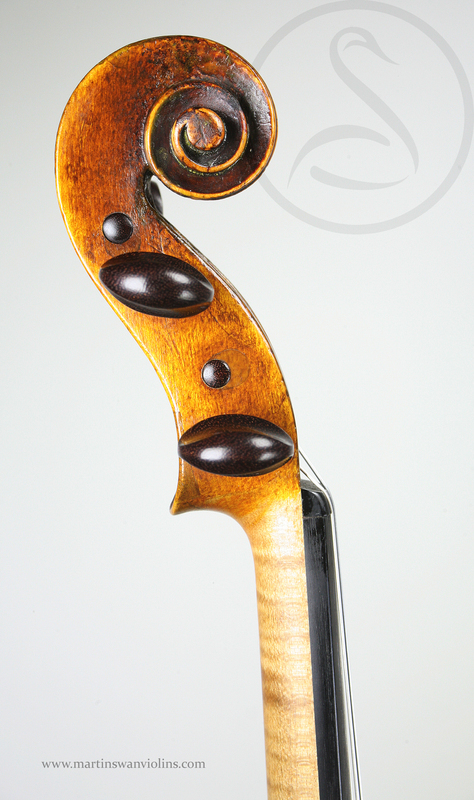 The tone is very consistent and orderly throughout the register, with no bumps or quirks. 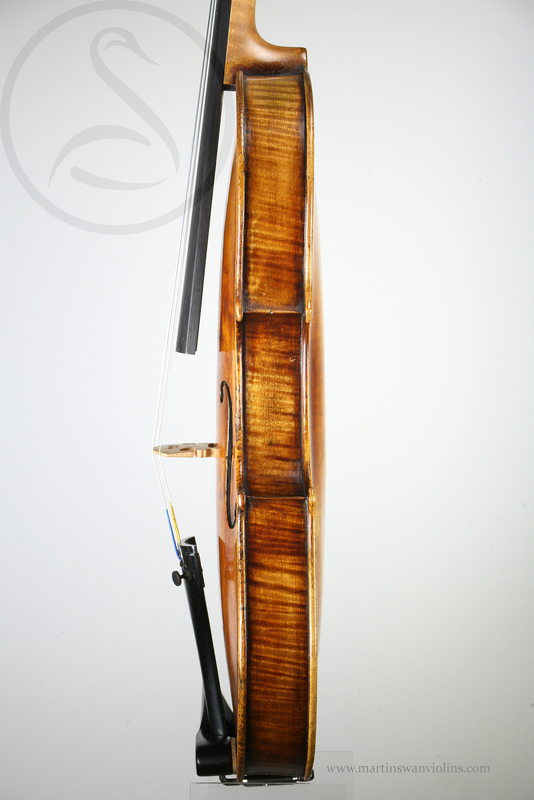 The size and arching are quintessentially “soloist”, and that’s what this violin does best – superb projection, bags of volume, and always that sizzle! 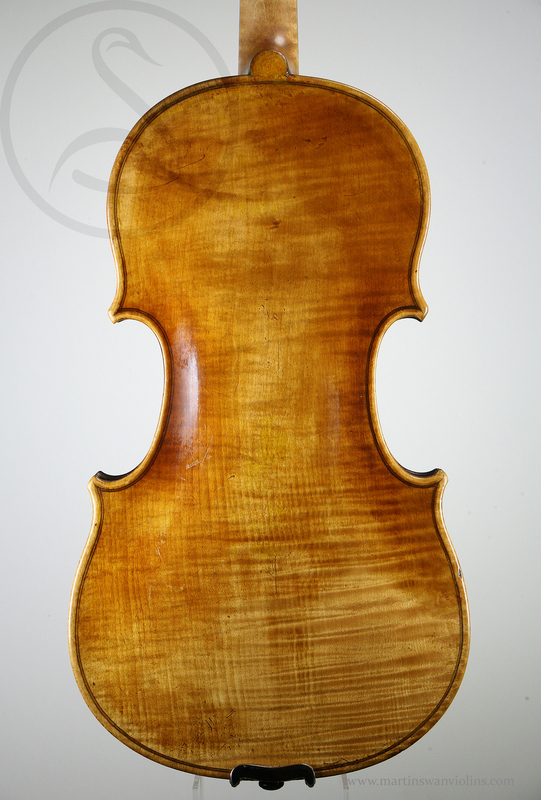 Interested in this Good Mittenwald Violin?